This view is the focal point where you will manage the details of a set. It is here that you will enter the set name & description, add coins, and associate collection coins with set coins. Taking the second first, + Series allows you to add an entire series of coins with a few keystrokes. 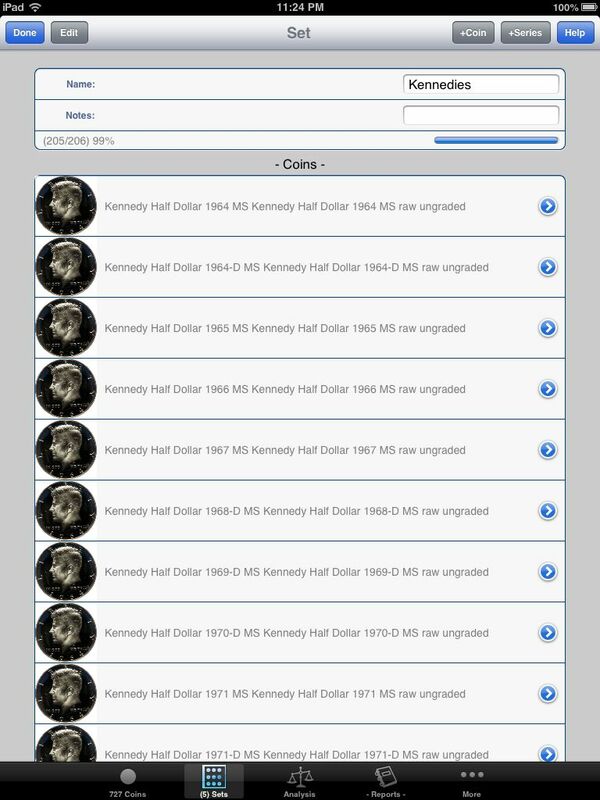 There are over 200 coins in the Kennedy Half coin series. Entering coins one at a time would be a terrible use of time, time better spent looking for new coins or taking a nap. To create a set from a coin series, click +Series. 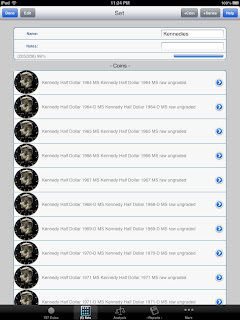 Search thru the various coin types, and finally, select the type for which all issues will be added to the set. For smaller coin sets, it becomes easier to add one coin at a time. This is where the +Coin button comes in handy.